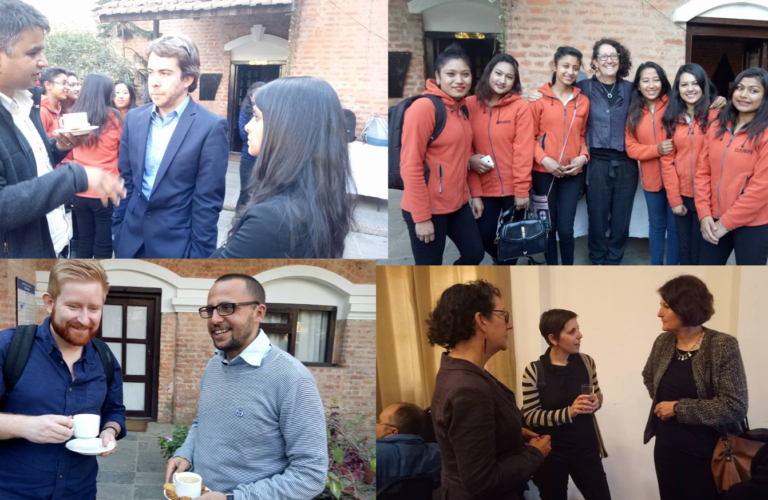 SPRING hosted a strategic outreach event in Kathmandu featuring the Nepalese SPRING Cohort 2 businesses and brought together the donor, development, private sector and investors communities. The goal of the conference was to create a space for the businesses to connect with the attendees to form meaningful partnerships, expand the ventures’ networks, raise the business profiles and exchange ideas around how the public and private sector ventures can play a role in Nepal in developing commercially viable businesses that also drive a social impact. The conference focused on sharing the SPRING Nepalese ventures and the respective SPRING prototypes, their journeys in the cohort, and the adolescent girl impact, with the broader view of raising awareness of the types of inclusive businesses in Nepal, the innovative products, services and business models that exist or are about to launch in market and to hear from some of the adolescent girls as beneficiaries. More than 50 donors, corporates, NGOs and other institutions attended the afternoon, and a total of 75 were present (including the SPRING team and businesses). The session was followed by an informal tea providing the opportunity for all to connect further, form meaningful relations, and discuss follow ups. Information and valuable learning does not automatically get transmitted from the central head office of large donor, corporate and NGO organisations to the local teams. There are several reasons for this, some stemming from practical considerations such as size of the institution, which leads to difficulty in communicating with the country team frequently. There are many benefits to the local offices from being exposed to the updates of the programs such as SPRING, which are being supported at a corporate level (in the UK or the US). The value is twofold: a greater sense of cohesiveness is developed across the organization/company from learning about the programs that are being implemented globally; and: more and better collaborative opportunities are identified by staff at local offices as they have a direct understanding of the specific needs in-country. Social impact, user-centric approaches to development, and innovative business growth strategies are nascent in emerging countries, or non-existent. There is a need in educating, raising awareness of, and proving the market opportunities to the local, regional and national stakeholders. Programs like SPRING provide the means to create that understanding in-country and also globally, showcasing the ways toward inclusive market developments, and specifically – the impact of supporting commercially viable, investable businesses and non-profits that can drive societal transformations which are sustainable, results oriented and human-centric. Moreover, providing SPRING-participating ventures the opportunity to connect with a multidisciplinary group of people from different fora meant that they were able to better understand the needs of the stakeholders in the country and draw insights around new areas of potential collaborations. The event was moderated by an eighteen-year-old girl who shared her story about the needs and challenges she faces in Nepalese society. In addition, one of the SPRING- participating ventures, Rooster Logic –a data collection and analysis company, brought a group of the Sukarmi girls – the network of young women that are enumerators for the business. It was in111valuable to have had the girls take a key part in the event as it allowed for a deeper connection between them, the implementers of program and the wider stakeholders, and inherently offered the adolescent girls an opportunity to take part in an inclusive dialogue. 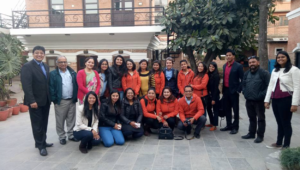 The outreach event hosted in Nepal demonstrated the value of bringing together a diverse group of actors to hear directly from local businesses that are developing innovative products and services and which are transforming the lives of adolescent girls. The collaborations formed and the awareness raised at this event highlight the need for more of such events at a local, regional and national levels. Going forward, SPRING plans to replicate and repeat similar gatherings in other markets where it operates, in Bangladesh, Pakistan and Myanmar, as well as in East Africa, to stimulate the ecosystem and bridge the gap between the beneficiaries, the ventures, the program implementers, donors and partners.